On Sunday, November 12, Sisters of St. Dominic of Amityville, Dominican Youth and Associates (along with many others) walked in an interfaith pilgrimage to petition Congressman Peter King’s Office in Massapequa, Long Island, NY on behalf of the immigrant population which would be affected by DACA (the Dream Act that gives legal status to immigrants who came to the US as children). It was a beautiful day. 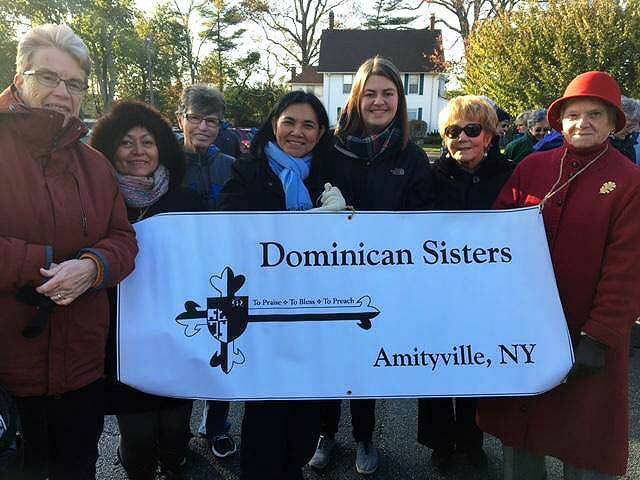 Thanks to those Sisters and Associates of our Congregation, former members and Dominican Youth who walked behind our Sisters of St. Dominic banner and supported this pilgrimage effort. The Dominican Friars of St. Martin de Porres Province honored Brother Roger A. Shondel, O.P., with the St. Martin de Porres Award at the November 9th Southern Dominican Province Gala. The award salutes the recipient’s lifetime of recognizing the spiritual needs of the New Orleans community. Also honored at the gala was Mrs. Yvonne Blount, O.P. 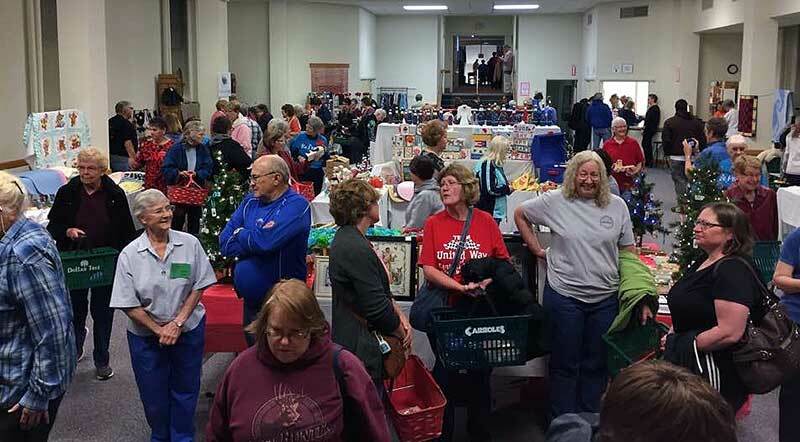 who has served as a lay Dominican for more than 50 years. 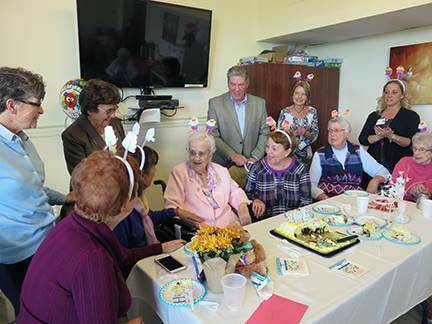 Dominican Sister of Amityville Grace Regina Wingenfeld Hits Milestone—106 Years old and 90 Years as a Religious! Sister Grace Regina Wingenfeld not only celebrated her 106th birthday on November 9, 2017 but this year also marks her 90th year as a Sister of St. Dominic of Amityville.